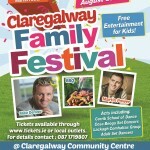 Claregalway Community Presents Music & Dance Festival and Includes Entertainment for all the Family. 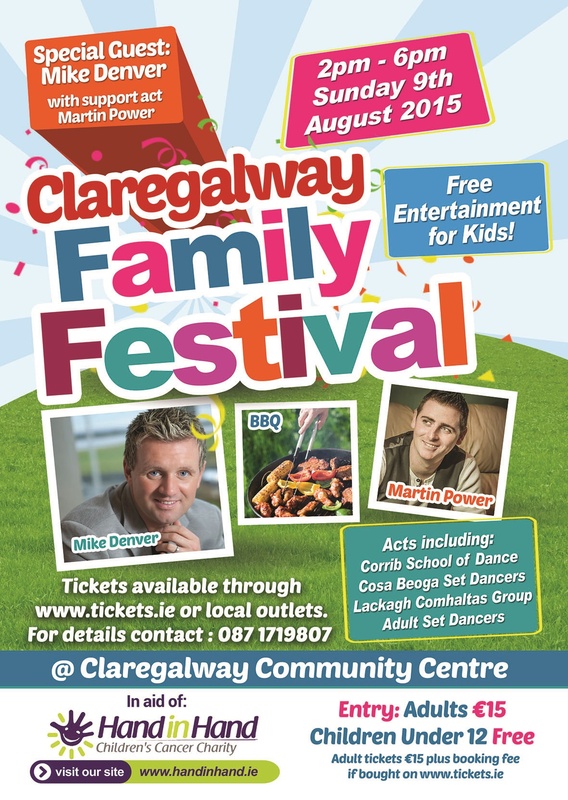 The event will take place in Claregalway Community Centre from 2–6pm on Sunday 9th of August 2015 in aid of Hand In Hand Children Cancer Charity. This charity has helped and provided practical support for families in Ireland whose lives have been affected by childhood cancer. Ticket are €15 + booking fee, or are also available by phoning 087 1719807. Children under 12 are free and doors open at 1pm. Please support this event which should prove to be a great family day with the details as follows. Special Guest will be Mike Denver, performing on stage on this very important Festival and to be with our Community. You can contact or email handinhandclaregalwaymd@gmail.com, online Tickets.ie or local outlets: Hughes SuperValu Claregalway, Flynn’s of Lackagh, Glynn’s Centra of Carnmore, and Raftery’s Centra Claregalway and Corofin. Also available at Ryan’s of Milltown Londis. Alternatively you can phone 087 1719807.